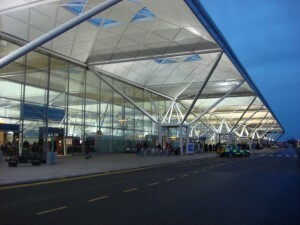 Unite has backed the expansion of Stansted Airport, saying it will be a major employment generator. Uttlesford District Council will next week discuss plans to increase the numbers using Stansted from 35 million passengers annually to 43 million. In a letter to the district council, Unite’s convenor at Stansted Danise Smith wrote: “As the main union at Stansted, we are committed to working in partnership with Manchester Airports Group in supporting all future investment and growth. “The continued growth and success of London Stansted is important to Unite, not just in meeting demand for air travel and global connectivity, but also as a major employer and export ‘gateway’. “It is crucial that London Stansted is allowed to continue to grow in a sustainable way in order to allow people, goods and services to enter and exit the country safely and efficiently. Unite is also supporting the expansion of Heathrow Airport where the new runway is forecast to create 77,000 new local jobs. The union has more than 34,000 members at Heathrow. Unite deputy regional secretary Vince Passfield said: “We need to look at Stansted’s expansion in the context of a joined-up airports’ policy for London and the south east. “The lifting of the passenger cap is important given the vital need for additional runway capacity to meet the continued growth in the aviation sector.